Plastic barrels are essential to a lot of commercial and industrial shipping and storage applications. These type of drums are very durable as they are manufactured using high density, high molecular weight polyethylene (HDPE) material. They feature a wide range of sizes. With lots of plastic drums of different sizes available in the market today, choosing the right size may be at times be a bit difficult. Youngstown Barrel & Drum, your reliable provider of plastic barrels bring you a couple of tips to consider before making your choice. With this, you will be able to select the right plastic drum size and type for your application. A primary consideration when choosing plastic barrel is the weight and density of the product to be shipped and stored in the drums. Smaller capacity plastic barrels include 7.7 gallons, 10.7 gallons, 8 gallons, and 12.2 gallons. These are best suitable when you need small to intermediate size containers. However, if you have larger quality of products to store, it is advisable to opt for plastic drums that are bigger. In this case, you can choose medium capacity plastic drums of 14, 15, 20, and 30 gallons. You can also choose larger drums of 55, 65, and 95 gallons. By doing this, you will be choosing a drum with adequate amount of space without leaving excess empty unused space. 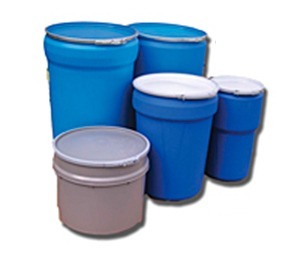 Hazardous Material Regulations (HMR) as they pertain to plastic drums. It is important to note that not all drums are suitable for shipping hazardous materials. Properly certified and marked drums feature closure instructions, certifications, and ratings. Hence, select a plastic drum that complies with the HMR by consulting the hazmat table. This way, you can ensure that your product is properly packaged, to help insure safe shipping and storage. At Youngstown Barrel & Drum, we offer you affordable, superior quality plastic drums in various styles and sizes. Contact us today to learn more about our plastic barrels.